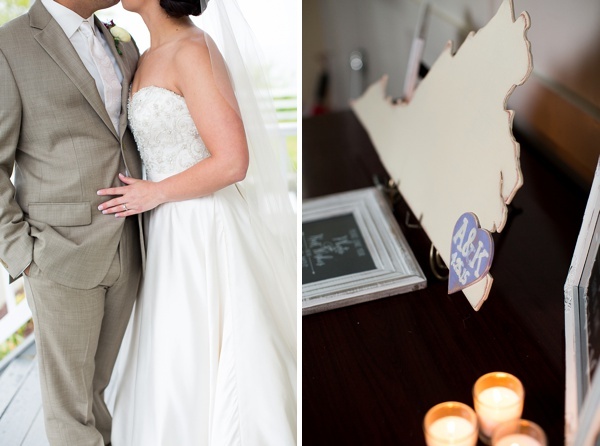 What happens when it pours, pours, and pours all day? 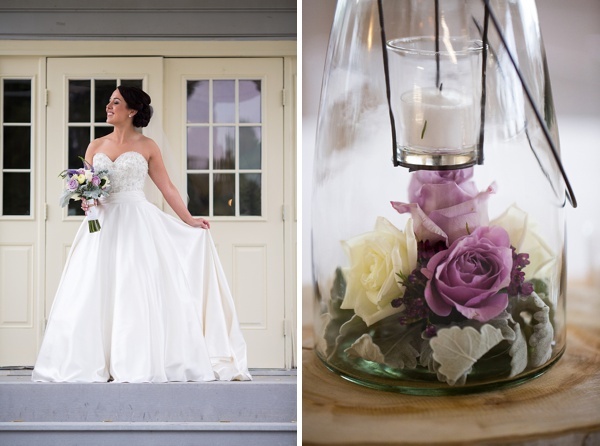 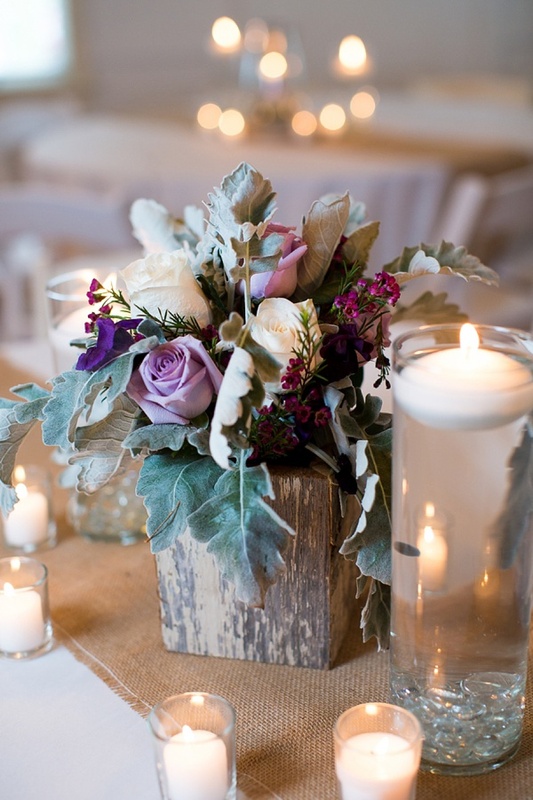 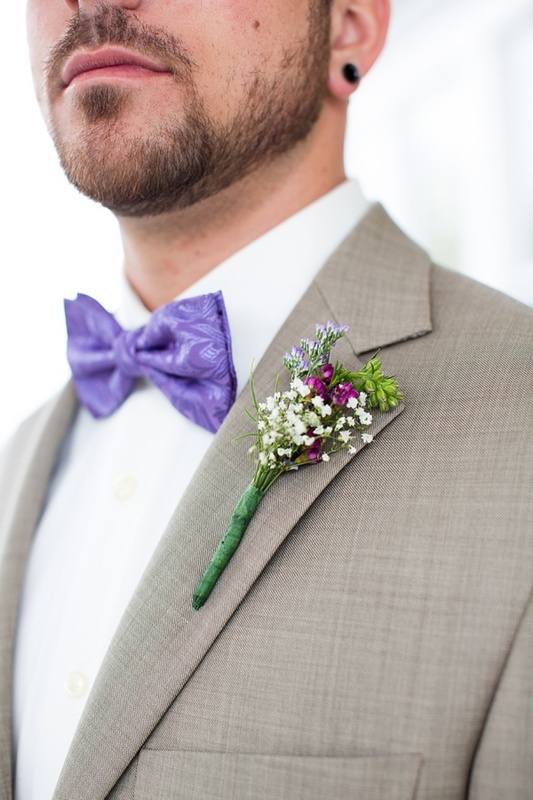 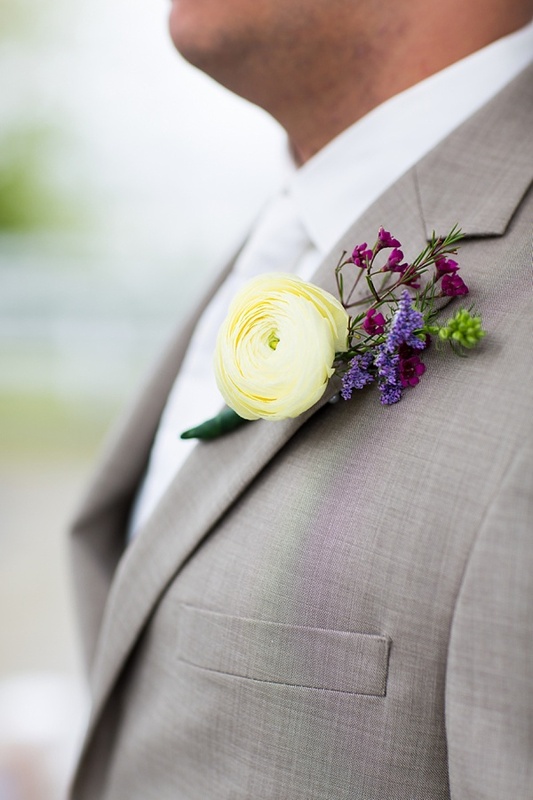 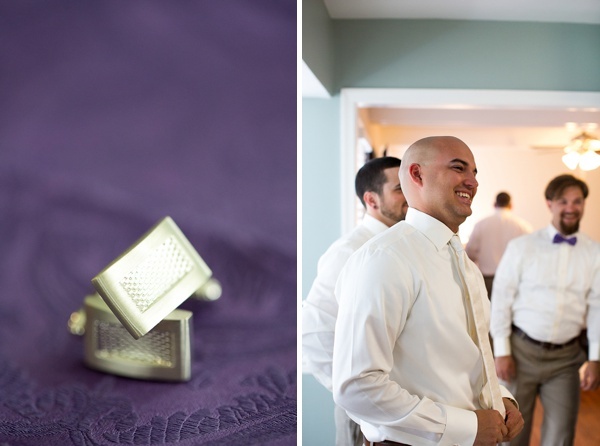 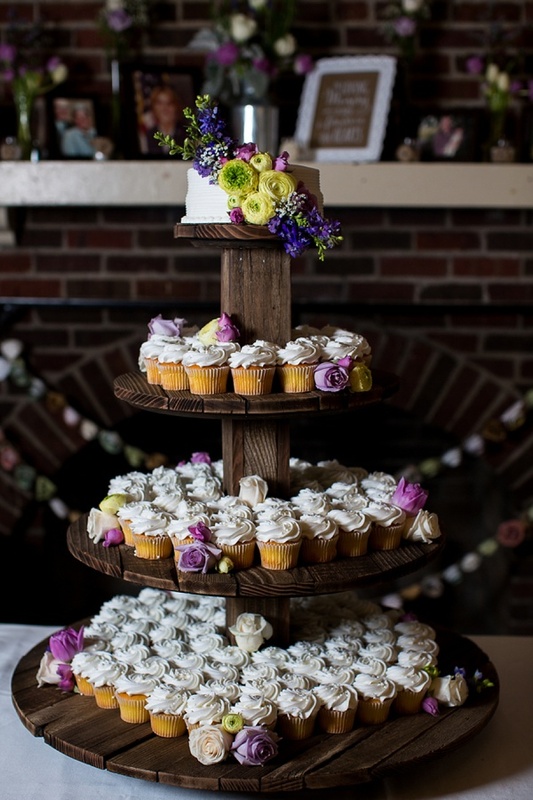 A gorgeous purple rustic wedding at the Planter's Club in Suffolk, of course! 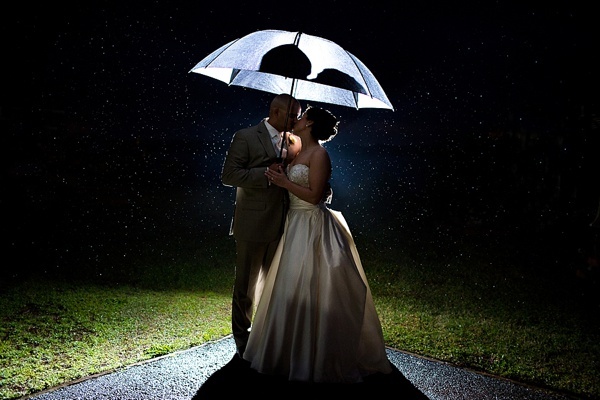 While Krista and Andy's wedding had an unwelcomed guest called Torrential Showers, it didn't dampen any of their cheerful spirits. 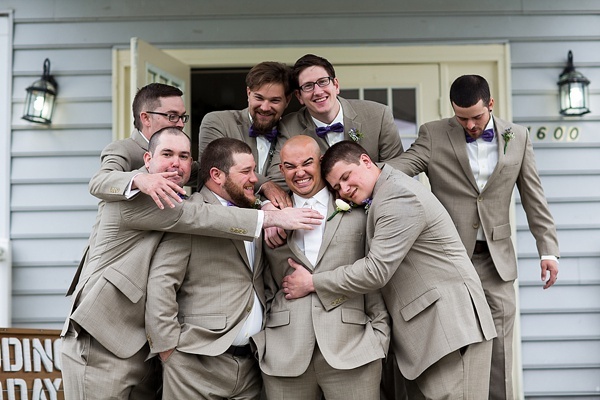 From the heart-squeezing emotional first look to the non-stop excitement of getting married, everyone embraced the weather and acted as if it was planned all along. 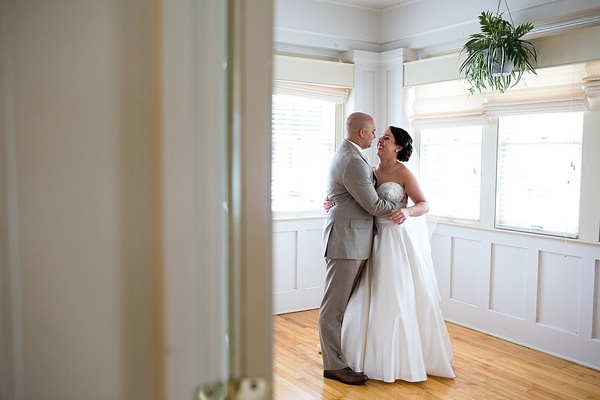 Like a good majority of modern day couples, Krista and Andy met online, and the bride nostalgically joked, "I signed up Thursday, he emailed Friday, we went out Sunday, and the rest was history!" 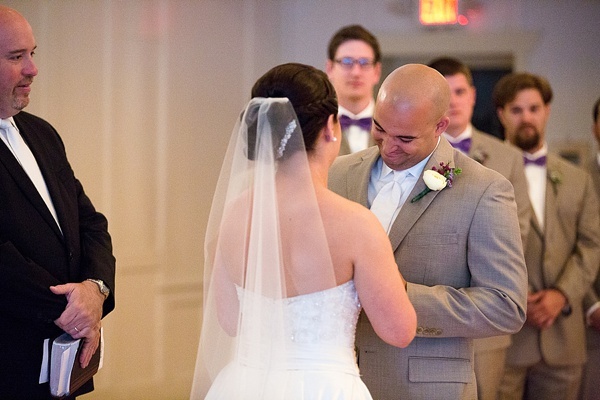 While this tearful groom said, "I have been to war three times, had my leg broken in West Africa, and I never cried once... but seeing her made me so happy." 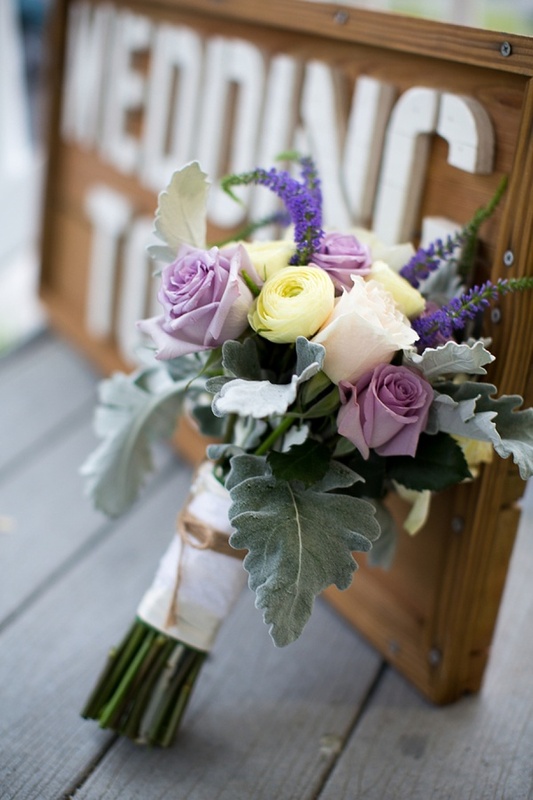 Captured by Leigh Skaggs Photography, their beautiful Suffolk wedding made all their rustic dreams come true. 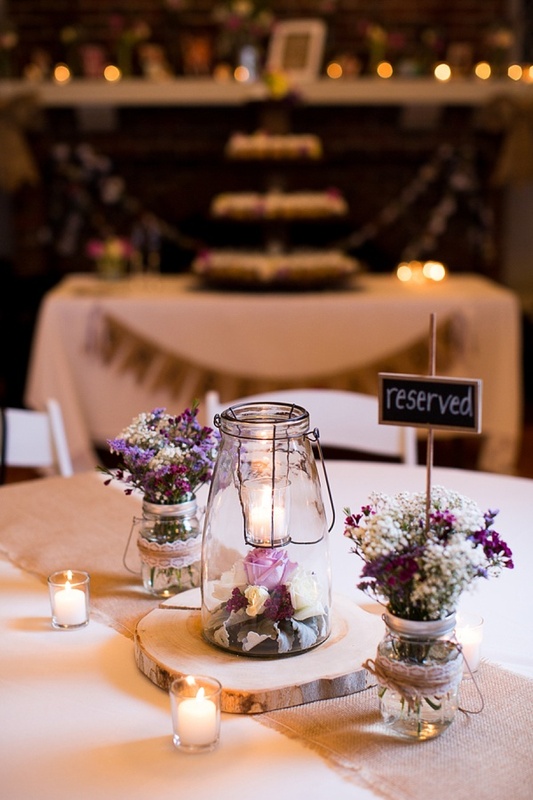 With purple bridesmaid dresses, baby's breath and dusty miller-dappled florals, and a repurposed wood tiered cupcake stand, the inside of the Planter's Club never looked so perfect even with the storm happening outside.